Enthusiasts have been rather vocal following the refreshed 2019 Chevrolet Camaro‘s debut. Specifically, the 2019 Camaro SS has really split the crowd. The reworked design implements a larger front grille and wide fascia with a controversial blacked-out bar splitting the grille itself. Additionally, designers placed the Chevy bowtie badge in the middle of the blacked-out components, which has left some rather puzzled on the decision. 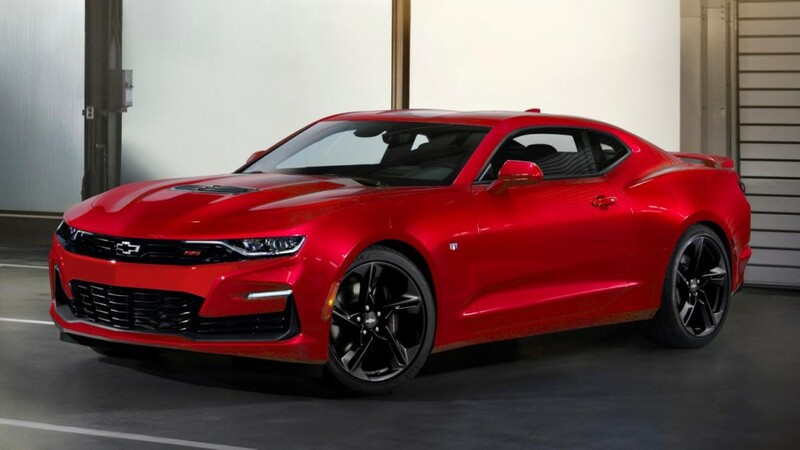 But, do simple tweaks “fix” the 2019 Camaro SS? 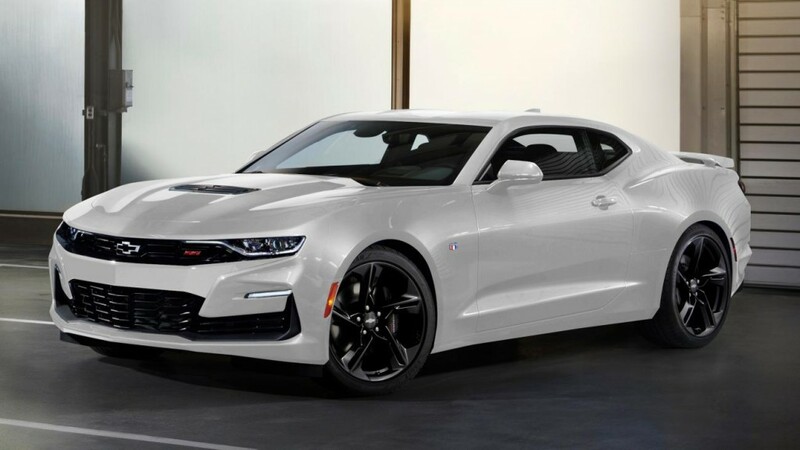 Camaro6 forum user Peter167 aimed to render what the 2019 Camaro would look like without the blacked-out bumper piece. The user also moved the now-standard “flowtie” badge to the upper grille. In the end, we happen to believe it truly does give the 2019 Camaro a much more cohesive look. Really, not much changes. The design is identical, but the body-colored component and badge relocation really help take the edge off of the refreshed design. In fact, it looks more Camaro ZL1 inspired with the minor tweaks with just the right amount of aggression. The artist also posted the rendered images in white, red and black aside from the 2019 Camaro SS’ blue debut color. We think white looks extraordinarily good with the rendering. But, we will save our final judgment on the official 2019 Camaro redesign for in-person. Let us know if the “fixed” images do the car justice in the comment section below. These renderings look way better; too bad they’re mere fantasy. If Chevrolet is smart, they will turn these renderings into reality for the SS model. This looks far superior to that obnoxious black rub strip on the front of their design. on a family sedan. Chevy may have been going for the ’70 – ’73 look, I’m not sure. all the new technology, but not with it looking like this right now. If they were strictly interested in boosting sales they would make the car more affordable. The pricing of some of the best performance options chases a lot of sales away. The fascial and rear end looks like something that would be appealing to a guy that’s going to play 1 hole golf with his boyfriend, cuddling on the couch watching Brokeback Mountain eating popcorn with fat free butter. 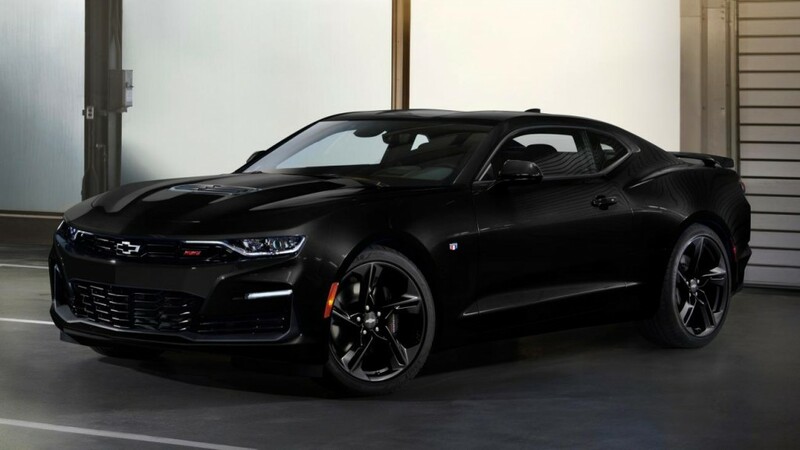 I was going to trade my 2014 ZL1 in on a 2019 but, no way, no how… I want something more manly looking than that. WTF Chevy?! Without a doubt, a million times better. I prefer the GM version. Moving the bowtie up pulls the whole front up into a pug look. Black bumper and low bowtie give it a longer sleeker look. Sorely needed given the boxy look of the current design. I wonder if we are going to see dealers taking the initiative and offering to have the body shop fill in the bowtie and repaint the bumper… This also opens up some opportunity for the aftermarket to make a body colored panel that installs over the factory blacked out bumper section. The bowtie on the 19 is fine where it is, just paint that center piece and all will be well! The “fix” makes it look like the 2014-15 MY’s. The altered red one looks very Dodge Chargery to me? Wonderful work, hopefully Chevy has noticed! Now that’s the way it should be. Are you listening G.M. ? I love it, and it looks really good! Honestly I can do the blacked out grill but the bowtie placement is where the design is killing me. It just looks like it has a droopy face, but with the bow tie up higher it gives the front facia a more upright look. I think it’s kinda funny, because that just makes it look very similar to a 16/17, and that’s the nose everyone was pandering to change because it looked too much like a 14/15. I wonder if people will spend money to have their bumper covers resprayed in body color. I’d like to see a rendering with a body color bumper, but the bowtie in the original spot. Looking at the side by side, it makes me feel the issue with the blacked-out bumper, and not the bowtie. Not to mention, that would be an incredibly easy fix for GM if needed. I think the color matched center is a big improvement. It gives the “fangs” a more aggressive appearance and less of the mutton chop look the original one has. Absolutely, 100% better, thats the way it should be. Who knows maybe they[GM/Chevy] will adjust it. They don’t have to change the mold for the front fascia, just fill the bowtie space and reprogram the painting process and re-mount the Flowtie to the upper grille-easy and cheap. Yes it looks better but the bumper still appears too thick. Only one where it looks good as is is the Black, IMHO. Now this is more like it!!! Looks closer to the current 6th gen design, but MUCH better proportioned and easier on the eyes! I too hope GM is paying attention to these photos!!! The renderings look much better than the actual car…hope Chevy management gets the hint. Yeah, this change looks much better — make the other one the transformers special edition. Midlife refreshes are supposed to be subtle. Reminds me of the 1963 Corvette. Many hated it and even went to the point of cutting the split out of the window out. Today they spend a lot of money to put it back in. History has shown some people are difficult so satisfy. Anyone remember the Superbird’s and Daytona’s where they sat for several years before they were sold. Today people pay a premium for them. In 6 months the styling will be a non issue and sales will continue to slip in all coupes because of the market not the styling. Stop complaining and enjoy them while you can. I bet back in 2003 this car would have been warmly accepted by the Camaro folks in place of what they did not have.